Pumpkin Pie Delight. Tropical Paradise Bliss. Strawberry Shortcake Blend? With sinful sounding names like these you may be wondering - are smoothies healthy? The answer isn’t black and white. “Healthy” is subjective. Is it your goal to bulk up or to slim down? Are you trying to improve your heart health or prevent diabetes? The answer to each of these questions affects your overall calorie and nutrient needs. But worry no further - after reading this article you will know which kinds of smoothies are good for you and which smoothies to avoid. Smoothies can be a great addition to a healthy lifestyle, depending on what you put in it. The ingredients you include determine how healthy your smoothie would be. 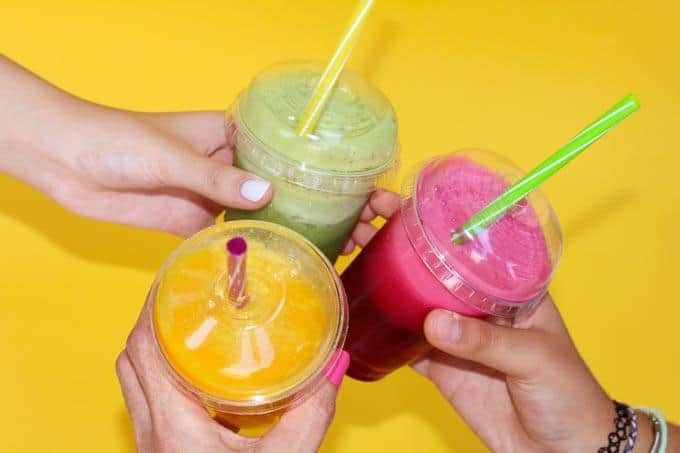 A smoothie can become unhealthy when it includes exclusively fruits, has too much sugar, too many calories or too many artificial ingredients. What Makes a Smoothie Healthy? If you want to know whether or not a smoothie is healthy, take a look at what’s in it. New to smoothies? Check out this article to learn how to make a healthy smoothie, step-by-step! In the world of nutrition, there are loads of conflicting advice. But one thing almost everyone can agree on - whole fruits and vegetables should be a key part of your diet. Well… nearly every vitamin or mineral can be found in produce. Eating a rainbow of colors will guarantee you get the variety of micronutrients your body needs. And don’t forget about phytonutrients! Phytonutrients are disease-preventing, anti-aging compounds found in numerous fruits and veggies. You’ve probably heard about a few types of these little miracle substances. Lycopene or beta-carotene sound familiar? Another desirable quality of fruits and vegetables is their high fiber content. Most of us don’t eat sufficient fiber which can cause issues with both our digestive and cardiovascular systems. Yet another bonus of consuming fiber is that it digests slowly and helps you feel full for longer. Fruits and veggies are typically very low in calories which is a huge plus if you are trying to lose weight. The exception to this rule is avocados which have around 200 calories per cup. So... blending a few handfuls of berries with a pint of orange juice should make for a super healthy smoothie, right?! The thing about fruits is that they must be used in moderation - especially in smoothies. It’s no secret that fruits are loaded with sugar and it is easy to pack a huge serving into the blender - way more than you would eat in non-liquid form. This is also true when it comes to fruit juice, fruit concentrate, and dried fruit. Using too much fruit in these forms is a sure-fire way to send sugar content through the roof. Make them the majority of your smoothies. But when it comes to fruit, use them sparingly. While fruits and veggies are obvious choices for smoothies, nuts, seeds, and grains are typically less utilized. This is a shame because these foods are loaded with nutrition and easy to incorporate. Nuts and seeds are loaded with omega-3 fatty acids. These are healthy fats that have been linked to decreased inflammation and reduced risk of numerous chronic diseases. Usings nuts, seeds, and grains is also a great way to add protein to your smoothie without having to use protein powder. You can easily add 6 grams of protein to your smoothie by adding an ounce of almonds or half a cup of oats. Just like fruits and veggies, nuts, seeds, and grains are loaded with fiber and micronutrients. Add in those almonds and oats we mentioned above and not only do you get a protein boost - you’ll also get about 4 grams of fiber! As for vitamins and minerals - nuts, seeds, and grains have got everything from vitamin A to Zinc! If you have a high powered blender, you can just toss in a handful. If your blender isn’t so stellar, you can grind them in a food processor or coffee grinder first. Another option for adding nuts, is in butter form. 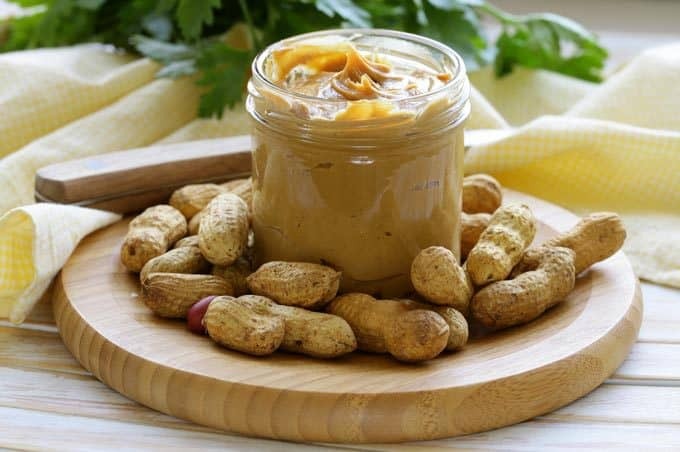 A dollop of peanut, almond, or cashew butter can add nutrients and a creamy texture to your smoothie. To add whole grains to a smoothie, try oatmeal or barley. Grains can be added straight out of the package or after they have been cooked. A word of caution when using nuts and seeds - be mindful of portion sizes! Although the fats in these foods are healthy, they still up the calorie count in your smoothie considerably. A few tablespoons is plenty! A healthy liquid base is key to a healthy smoothie. Luckily, there are lots of nutritious options to choose from. Purified water is an excellent base - No sugar. No fat. No calories. You’ll need to get the flavor and desired consistency from other ingredients in the smoothie. Organic milk can be a great option for smoothies. Organic is the key word here as conventional dairy milk often contains trace amounts of antibiotics and less omega-3 fatty acids. 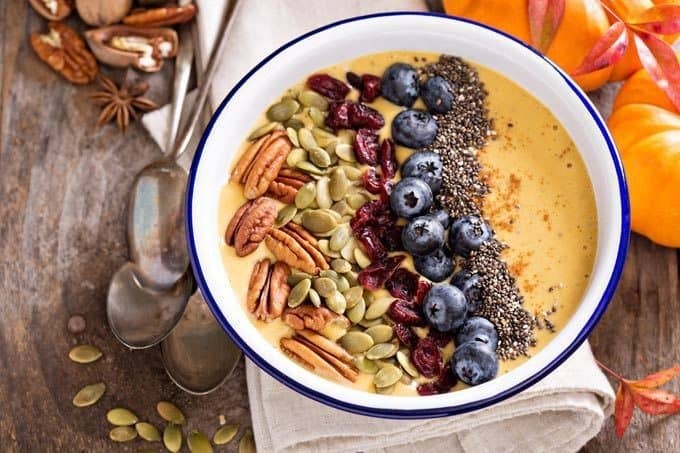 If you’re not into dairy or you just like to switch it up, there are a plethora of plant-based milks on the market that work great in smoothies: almond, coconut, cashew, rice, and hemp milk are just a few of the choices. And finally one of the least used yet healthiest bases you can use… Kefir! Kefir is a fermented dairy beverage that is loaded with protein and gut-friendly probiotics. If you build your smoothie using mostly veggies, a little fruit, a few nuts/seeds/grains all in a healthy base - you’re golden! Your healthy smoothie can be complete. However, sometimes you may want to add in that little extra burst of nutrition with one of these healthy additions. Protein powder is one of the most common additions. Whey protein powder might be the most famous, but there are numerous non-dairy alternatives including whey, soy, pea, rice, and hemp. Add another dimension of nutrition with probiotics. We already mentioned kefir but you can also add probiotic supplements or yogurt with active cultures. Although there is a lot of hype around supplements, they aren’t a mandatory ingredient in a healthy smoothie. You can get a perfectly healthy smoothie using simple, whole foods. With the addition of just a few unhealthy ingredients you can transform your nutritious health beverage into a sugar-laden, artery-clogging cocktail with more calories than a meal at your favorite restaurant. This is one of the most common problems we run into with smoothies. This is especially true of smoothies you buy when eating out. Sugary, refined liquid bases like fruit juices and fruit concentrate. Added sweeteners. These include the most well known offender, refined sugar, as well as “natural” sweeteners like honey, maple syrup, and agave. Although “natural” sugars may be less refined, they still contribute to overall sugar content. 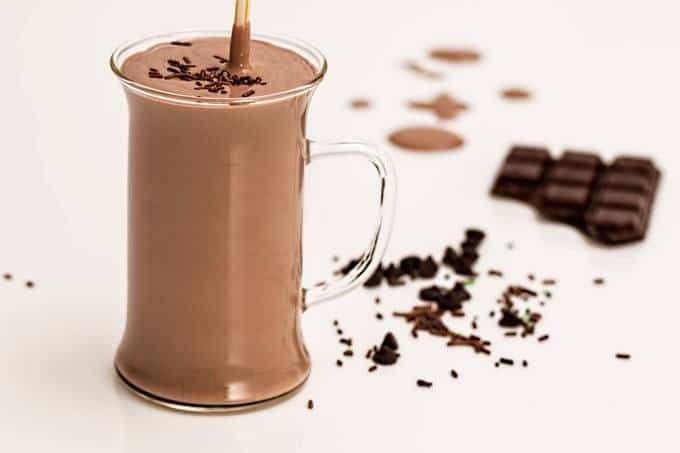 Pudding mixes are often added to smoothies to increase sweetness and improve texture. Dairy products. Earlier we talked about the right way to add dairy, but there is a wrong way too. Think ice cream, flavored yogurts, and whip cream topping. They are all laden with added sugar. Maltodextrin and FD&C red 40 don’t sound nearly as appetizing as fresh strawberries or creamy avocado yet they are found equally as often in store bought smoothies. Try to avoid artificial ingredients and use more whole, unprocessed ingredients. Thickeners and emulsifiers are added to smoothies for consistency and stabilization. Some of these substances, like guar gum have been linked to bloating and flatulence when consumed in large amounts. Another thickener, carrageenan, may be associated with increased risk for cancer and lower immune function. Artificial sweeteners are another controversial ingredient. Although some say that these sweeteners are safe, there is a fair amount of research suggesting they have numerous adverse effects on health. Again, the answer isn’t black or white! If you consume too many calories in any form, your body can store them as fat. Although smoothies can pack a ton of nutrition into one cup, they can also pack in a ton of calories. It is easier to consume larger amounts of calories in a short amount of time with beverages. Think about it, you make a delicious smoothie, throw a straw in it and it seems to disappear in no time at all, right? And, if your smoothie doesn’t hold a lot of fiber, you may be hungry again in no time. Another common misconception is that smoothies are a beverage to be consumed with a meal. This may be true if you are intentionally trying to increase calorie consumption, but for most of this, this is not the case. A smoothie can be a meal in and of itself! 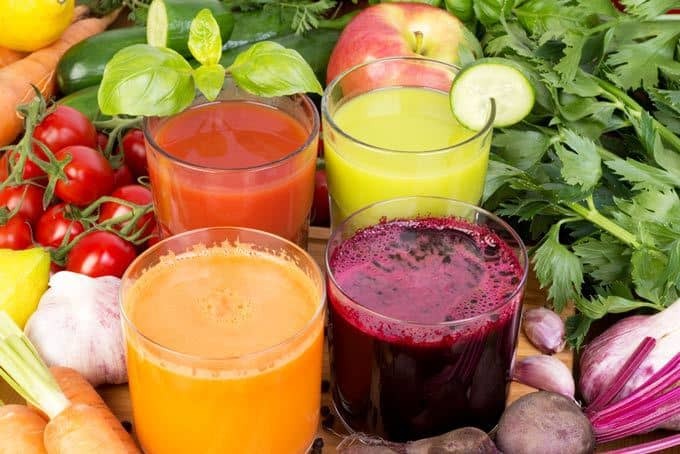 If you make smoothies with a variety of vegetables, a little fruit and nuts/seeds/grains, and a healthy base, you’ll have a delicious healthy elixir. If you make smoothies with too much sugar, artificial ingredients and too many calories, you may as well have a piece of cake. Follow the rules above and you’ll have a delicious, nutritious meal in a cup! How do you make your smoothies healthy? Share your favorite healthy smoothie ingredients below! 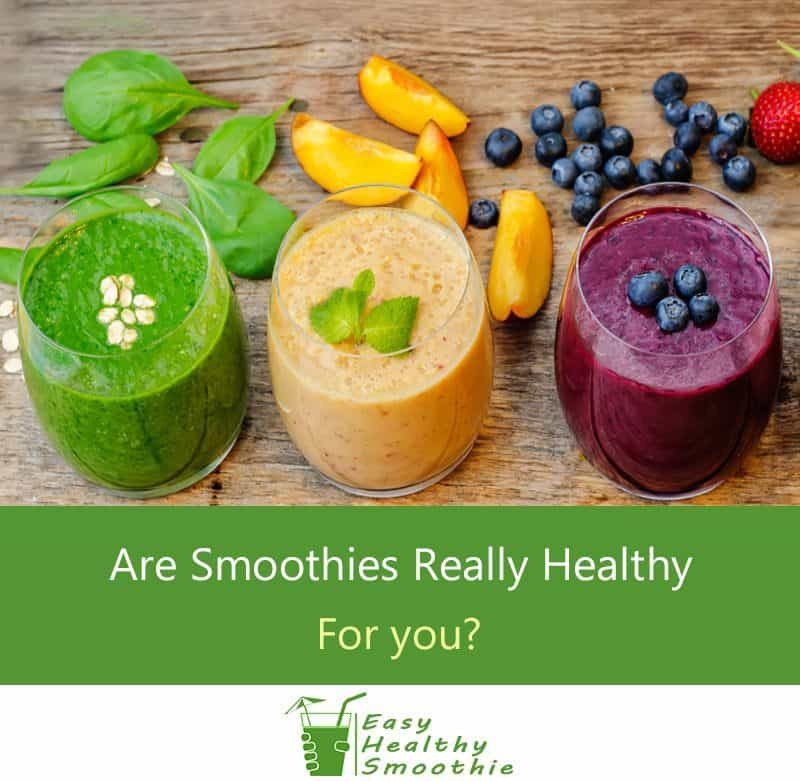 Learn what could make your smoothie really healthy, how to avoid ingredients and combinations that are bad to your health or weight, as well as how to choose superfoods and additions. Thanks for this! It’s great to know how to make smoothies as healthy as possible (and by default, unhealthy!). Great post 🙂 It’s so true that smoothies aren’t always as healthy as people think. Some of my friends are guilty of adding stuff that is pretty unhealthy and I’m trying to educate them about how to make sure their smoothies are actually healthy! I’ll be showing them this post as I think it’ll open their eyes a lot. Thanks for your comment, Nathan! It’s so easy to do if you’re not really clued up on how healthy or unhealthy certain ingredients really are so your friends will probably get a bit of a shock when they realize what they’ve really been putting in their smoothies! I totally agree smoothies can go either way and it’s easy to get one out and not realize it’s not healthy at all! Definitely agree with that one … easy to be fooled sometimes with ingredients! I never really stop to think about whether my smoothies are actually as healthy as I think … easy trap to fall into I guess! I’ll definitely be paying much more attention to it from now on though. Thanks for your comment, Lucy! It’s pretty common for people to think that smoothies are automatically healthy because they contain fruit and/or veg, when they can actually be really unhealthy when some ingredients are added. It’s great that you’re aware of what’s going into your smoothies now! Oops, I’m not sure that my smoothies are actually as healthy as I thought so I’m going to need to rethink my choices a bit more! Hi Martin, indeed not every smoothie is healthy, but hopefully following the guidelines here might help make better choices.